Happy Spring Break to us! We are currently out of school, and although I have work and other things going on, it’s nice to have a bit of a break. Last week? Not so fabulous in training. I was over scheduled and my focus was entirely on my 12 mile long run. I was able to check that off the list, and other than that, I coasted the rest of the time. It was our last day in Orlando. Little man wanted to play another round of miniature golf and then we went for a late brunch at Raglan Road in Disney Springs. I had the most amazing salad with goat cheese terrine, fig puree and roasted beets. Our ride home was fairly awful. Too many late nights and some car sicknesses led to an emergency pit stop at a random gas station to clean up a situation in the back seat (thank God we had some plastic bags so we were able to contain the mess). Yuck. I don’t think I’ve been happier to get home before. Little man settled down with a nice bath and a pug snuggle. Just what the doctor ordered. A good night’s sleep set him back to rights. I couldn’t rally to go to the gym, so I compensated with a series of Supermans, planks and pushups. Not much else to report. We were all kind of draggy and ended up skipping karate so little man could get some additional rest. It was a total slacker thing to do, but sometimes, it happens. This was a comedy of errors. It was supposed to rain so we agreed to meet at the gym and run seven miles on the treadmill. Morning came, and it wasn’t raining, but we were committed to our plan. Two of the girls went straight for the ellipticals, M managed about 1.5 miles on the mill and S and I hung on f0r 2.5. After that, we threw caution to the wind and squeezed in two more outside before we had to head home. And since I needed a total of seven, I packed little man’s lunch and ran two more in my own neighborhood. Misery! There were some really bad storms coming through the area, and the school cancelled little man’s music practice, so we had some extra afternoon to ourselves. The rain never came, but he and Mr PugRunner took advantage of the wind. I still needed to fit in 40 burpees, so I took care of those between sets of a modified Deck of Cards activity, involving squats, tricep extensions, crunches and dumbbell snatches. Done. I got a very nice surprise from Publix Savannah Women’s Half Marathon and Fleet Feet Savannah: a new pair of shoes. I can’t wait to share my experience with these beauties. There will be more of these great finds at the Fashion Fitness Expo on Friday, April 6. Will you be running with us? There’s still time to use code PUGS18 to save 15% on your registration! I had to do some wrangling, but was able to clear my schedule to fit in my 12 miles. All in all, it went surprisingly well. The weather was decent, and even though I had to take a quick break to make breakfast and lunch, I got it all done. That evening, our Den had to host the monthly Pack meeting. It involved bringing snacks, setting up a display of all the things we’ve done throughout the year, presenting the colors and leading in the Pledge of Allegiance and Scout Oath and Law. We even had the boys perform a skit. They did a great job leading and we were so proud of them! Friday was our school’s first Spring Carnival. The day was a bit of a whirlwind, with set up, last minute shopping and putting out small crises, and getting ready to go. When I picked up little man from school, he shared that he had made Honor Roll again (whoo hoo!) and he was awesome at helping us finish up with some last minute details. I spent the night with the PTA volunteers, welcoming people to the event. For a first time effort, it went great, and I was really proud that we pulled it all together. and the evening was just gorgeous, although slightly cold. Mr PugRunner and little man left right before the carnival ended to have dinner with another family and I stayed behind to help pack it all up. It was a job well done. The short version of Saturday was I didn’t want to move. However, that wasn’t in the cards for me. I had to work an event at the Grand Opening of a local gym. It was a fairly fun and productive time, and it went quickly. and she supplied some cake pops. The movie was fabulous and we enjoyed some time hanging out. And so there it is. My miles were way down from what I planned and I totally fell behind on the Total Body Challenge. I spent the rest of the week sore and achy after my 12 miler and I just couldn’t get myself jazzed to work out. I’m not really happy about it, but my body was probably trying to tell me something, and it was probably in my best interest to listen. Nice job on your workouts this week!! 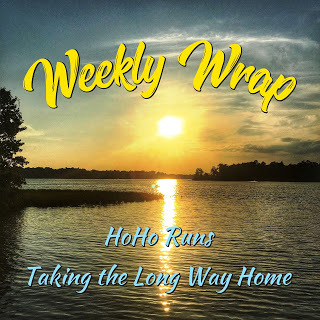 Awesome job getting your long run done earlier in the week! It’s so hard to plan out those longer runs during the week, but it always pays off when you have more free time on the weekend! I was really, really glad to get it done. That cheese platter looks delicious. All you need is a nice glass of wine to go with it. I saw I, Tonya the other week, pretty good! The wine glass was in my hand! The movie brought back all kinds of memories from those years – I really loved and followed figure skating back then, and I remember that whole incident like it was yesterday. It was very interesting to see it from a non-Kerrigan perspective. And Margot Robbie was phenomenal! What a week! We had a vomiting episode in the minivan back in the day on our way home from Florida. Unfortunately, we had 15 more hours to drive…. I’d love to do that half marathon in Savannah. I could also do RnR. Don’t know if I can swing it but I’m definitely considering it! Oh, yuck! We are lucky that we very rarely have these moments, but that doesn’t make them any easier when they happen. I hope your 15 hours weren’t totally unbearable. Come on down! Both races are really fabulous, even thought they are very different. You can’t go wrong either way. Great job getting in that 12 miler mid week. I like to do a longer run mid week sometimes too. Hope you have a good week! You had such a busy week – great job fitting in that 12 miler. And getting 7 miles in on Tuesday. I just saw I, Tonya in the movie theater a few weeks ago, but I know it was on it’s way out. I thought it was well done. That is a crazy busy week! It is so hard to get motivated after losing the mojo. I usually just have to force myself to start back and my motivation kicks in about three sessions in. Well done on doing that 12 miler with everything else on your plate! Glad little man is feeling better. Our daughter struggles with car sickness so we have had a few of those emergency pit stops! Never fun! Way to plug away at your workouts dispite the challenges. Love your charcuterie board, yum! After I ran Disney Princess Half, my little girl got sick at Animal Kingdom. She brought home a not so magical virus and big sis caught it 10 times worse. Glad your little man felt better after a good nights rest! Great running last week! Ha.. your slow week is like a thousand times more active than my active week. You had plenty of other things going on to keep you busy that’s for sure! Hope you get to enjoy Spring Break! Don’t beat yourself up! Your body spoke and you listened. 🙂 Hope your mojo has returned this week. 🙂 Did you come up with your own deck of cards workout? Oh no, I’m so sorry to hear that your drive home was eventful, and not in a good way. I hope that you’re all feeling better this week. I certainly wouldn’t feel bad about your running this week! You completed the most important one and gave your body the break it was craving. It’s so cool you received a pair of shoes as race ambassador. That’s such a pretty and colorful kite too. Thanks for linking!